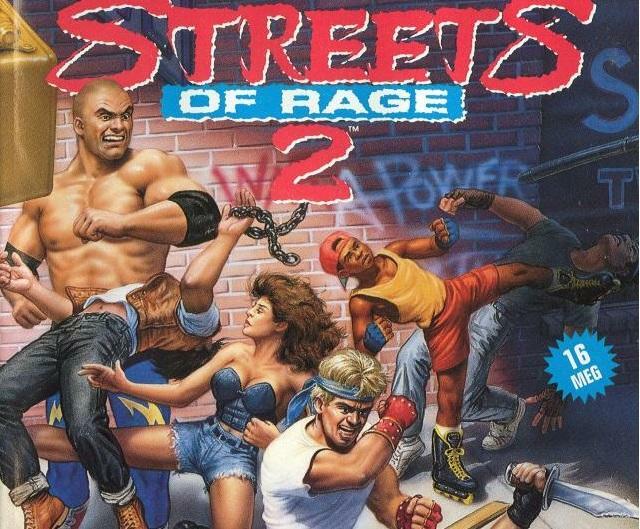 Streets of Rage 2, AKA not the one with a kangaroo wearing boxing gloves, is apparently the next in line from SEGA to get the 3D classic treatment. The old school beat 'em up has been rated by the Australian Classification Board with a PG rating for the Nintendo 3DS, making it an official confirmation shy of a sure thing. Streets of Rage 2 is generally regarded as the best of the classic franchise by long time fans, mostly because of its supporting cast. Mainstay protagonists Axel Stone and Blaze Fielding are about as cookie-cutter for the genre as they come, but Streets of Rage 2 allows players to also choose between Eddie "Skate" Hunter, a cool kid equipped with deadly roller blades, and Max "Thunder" Hatchett, a destructive wrestler who will send you and your mama home crying. Both are worth their weight in gold in separating this game from the bunch, and an entire team of elite generic 80s screenplay writers couldn't come up with better names. Streets of Rage 2 also benefits from an excellent dance music-esque soundtrack by Yuzo Koshiro, one of the Japanese masters of chiptunes. Seriously, this guy is chiptunes. Check him out if you've never heard of him. My guess is that the game should be out before the end of summer. SEGA has been doing a wonderful job bringing all of its classic Genesis and arcade hits to the Nintendo 3DS in worthy fashion, and Streets of Rage 2 is definitely among one of those I would love to take on the go for bursts of fun.